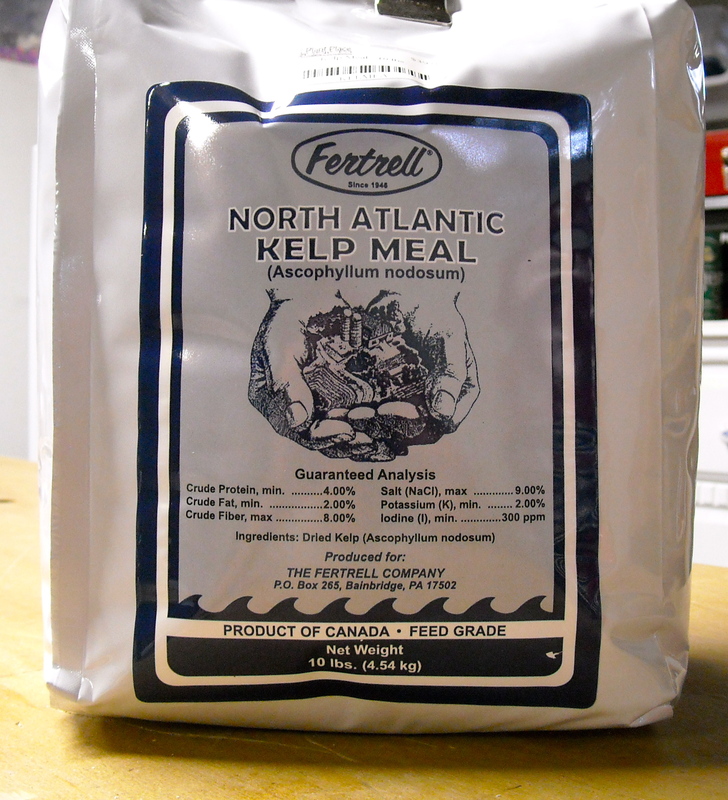 Last weekend I was finally able to locate a store in our area that carried Kelp Meal. 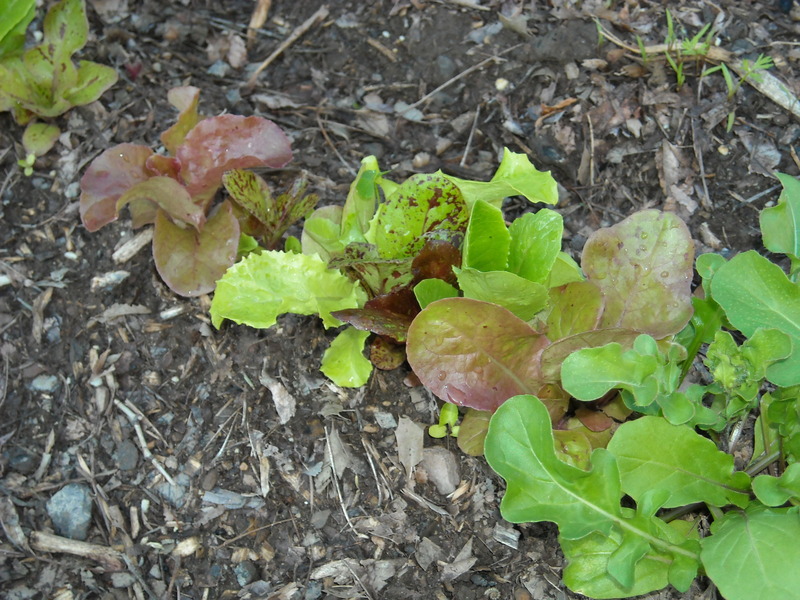 I am really excited to finally have the chance to use Kelp Meal in my garden. For years I have read articles about the benefits of applying Kelp Meal, but since I had a really hard time finding a store in our area that carried it, I have just never used it until now. I have finally given up on tomato cages. Over the years I never seemed to have any luck using them. 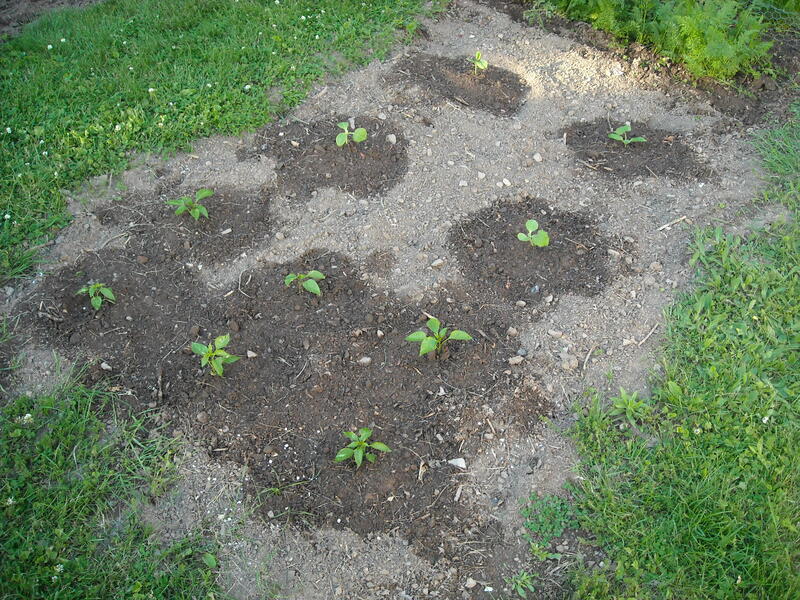 They always seemed to fall over right when the tomatoes were ready to pick. Then, in order to keep the cages up-right, I would drive several stakes into the ground, but it always seemed that no matter how many stakes I would use it was never enough. The cages always fell over with the weight of the tomatoes. I just found using them frustrating. The solution to my frustration was to build tomato ladders. This is one of those simple projects that I have wanted to do for years, but the timing was never right until this year. 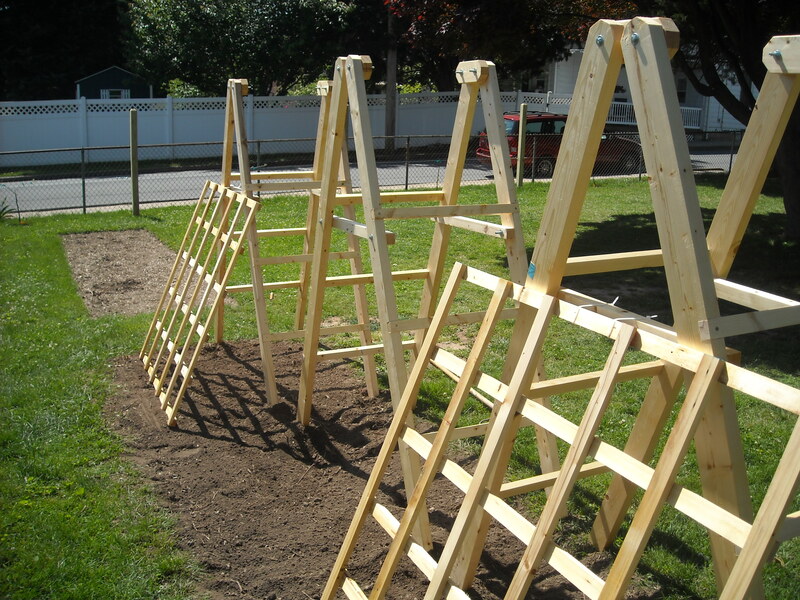 As you can see, these tomato ladders are not complex to build. I built these tomato ladders from some standard 2 X 4s and basic hardware. The ladders are about 6 ft. tall and 2 ft. wide. I placed three rungs on each side about 18 inches apart. 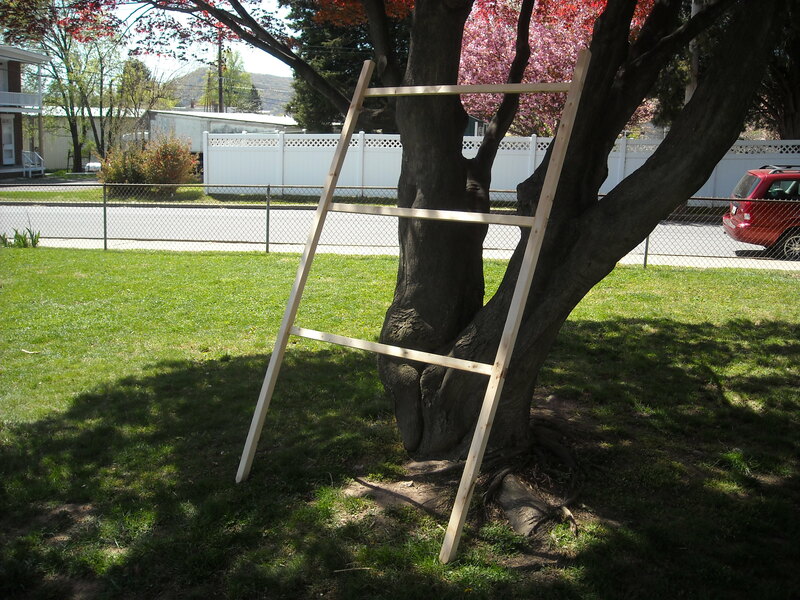 I applied several coats of boiled linseed oil to the ladders to protect them from the elements. 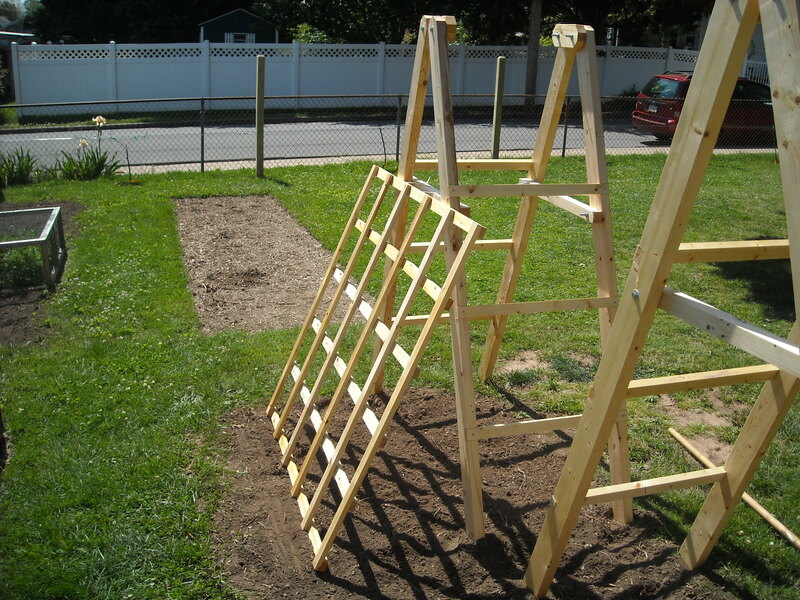 Our plan is to grow one tomato plant up each side of the ladder, securing the plant to the rungs as it grows. Because of our limited space, we decided to try growing cucumbers vertically on a trellis. It only seemed natural to use the ladders to support one end of the cucumber trellis. 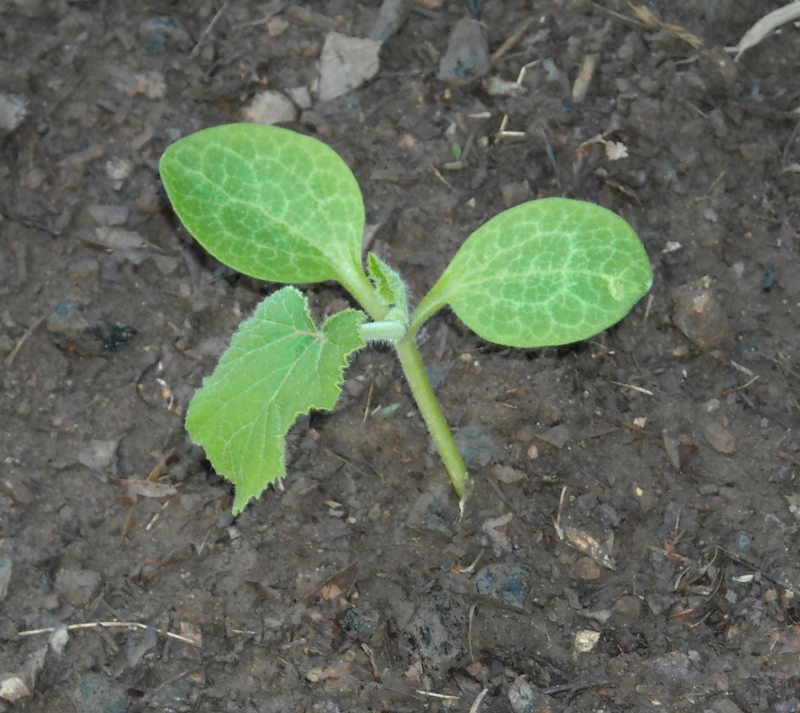 The cucumber trellises were also made from 2 X 4s, I ripped down several strips that were 3/4″ thick by 1-1/2″ wide and 48″ long. I then placed the strips together to form a simple grid pattern. Like the ladders I applied several coats of boiled linseed oil to the trellises. I secured them to the ladders with several zip ties. 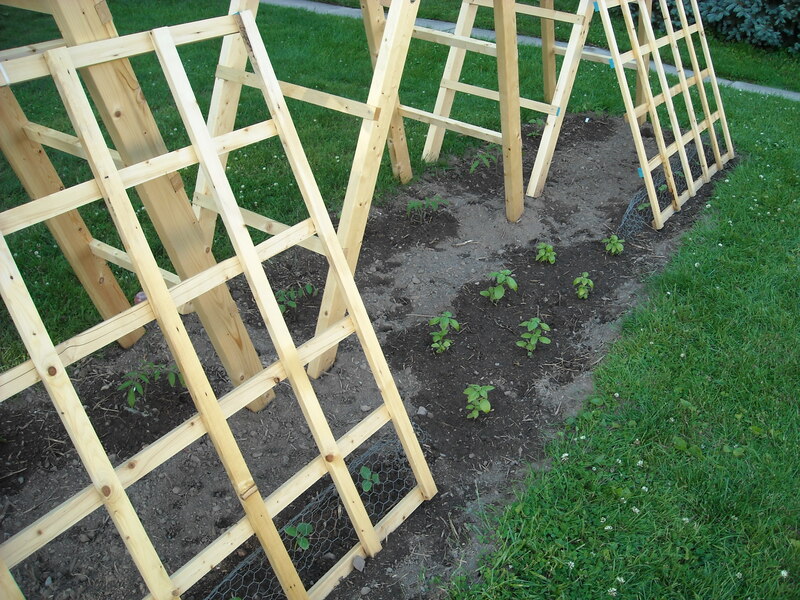 I will keep you posted on the success and failures of the tomato ladders and cucumber trellises this season. 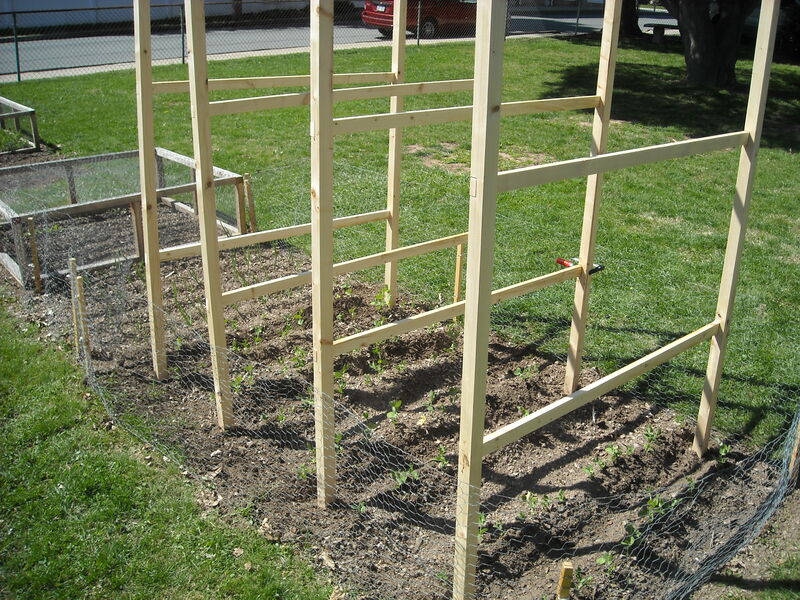 These pea fences are made from standard construction grade 2″ X 4″ that are 8 feet long. Each fence takes about 1 and a half 2 X 4s to build. I made enough parts to build 4 fences, so all of the images below show the quantities for 4 fences. 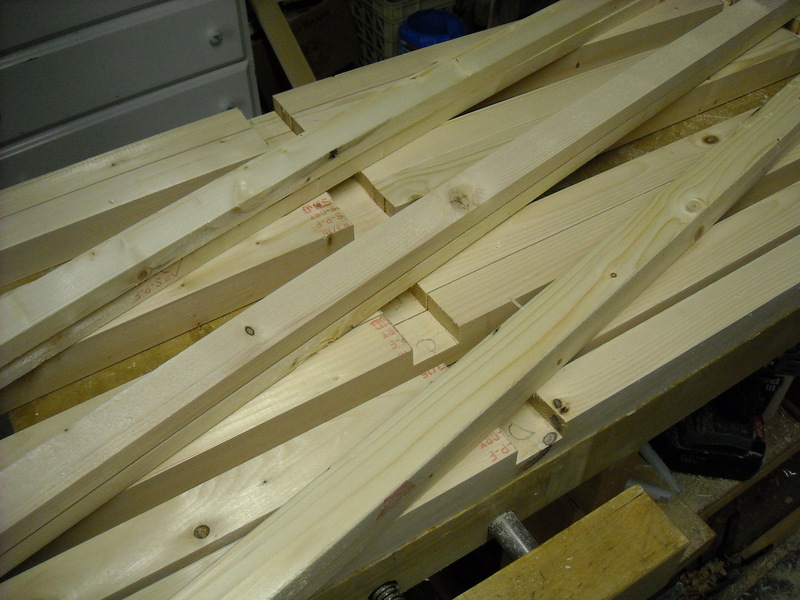 Step 1: Select four nice, straight 2 X 4s and clamp them all together. Measure in from the top end 2″ and strike a line across all the boards, this line will be the new top of the post. Next measure in 6″ from the opposite end and strike a line, this will be the new bottom of the post. Then, layout the grooves for the horizontal supports. The spacing I chose was for the first groove to be 6″ down from the top (be sure to measure from your new top line, not the top of the 2 X 4), then 24″ between the other two grooves. Each groove will need to be 1-1/2″ wide and 3/4″ deep to accept the horizontal support. 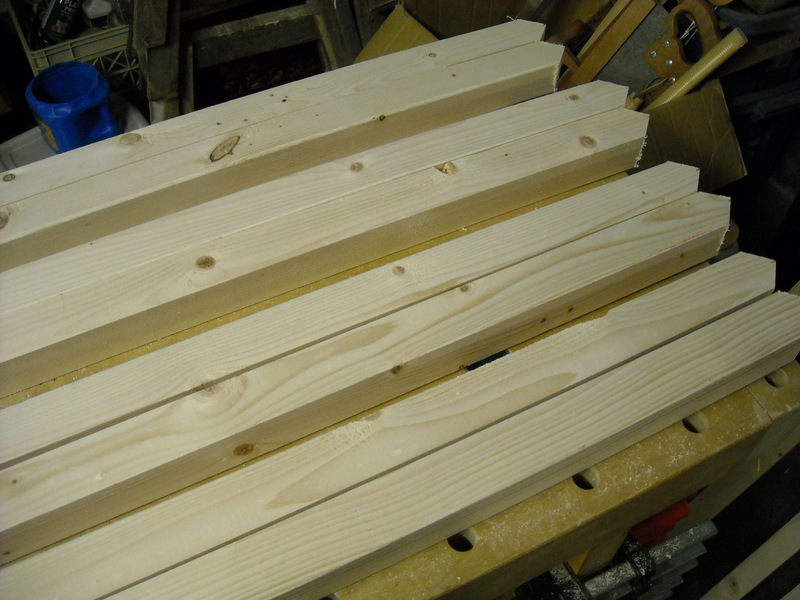 Step 2: With all the boards still clamped together, use a router to cut all the horizontal grooves 3/4″ deep. With the spacing I chose there were three horizontal grooves to cut. 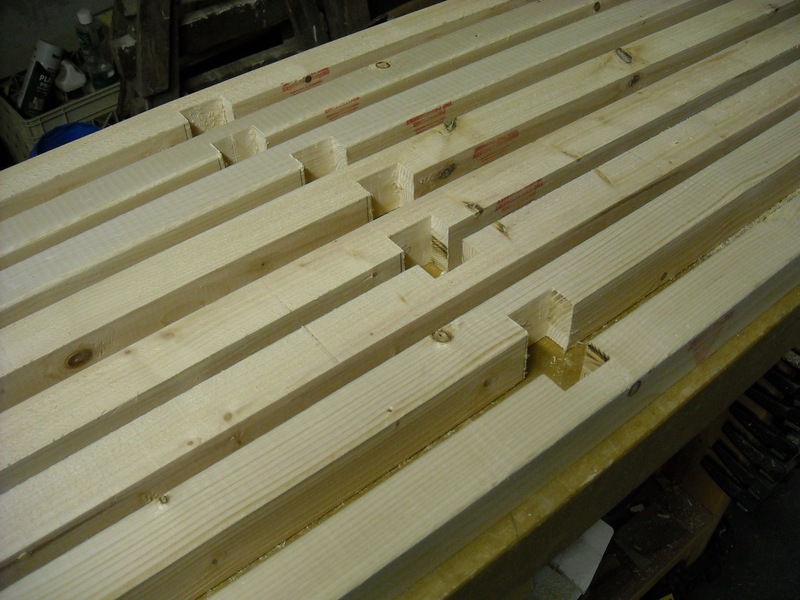 Step 3: Once all the grooves are cut, then cut the ends off each post ( the 2″ and 6″ lines from Step 1). Next rip each 2 X 4 in half lengthwise, creating 2 pieces that are approximately 1 3/4″ wide. 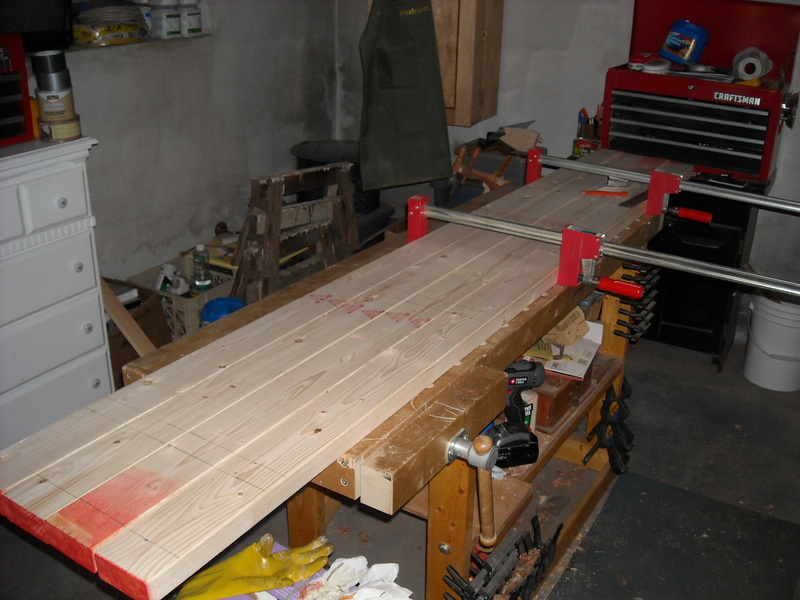 Step 4: To make the horizontal supports take a new 2 X 4 and cut it to a length of 48″. From the 48″ long piece rip 4 pieces each 3/4″ thick, you will be left with a little waste. Your resulting piece should be 1-1/2″ wide, 48″ long, and 3/4″ thick. You may need to rip more 48″ long pieces, depending on the number of fences you are building. Step 5: Then cut the ends of the posts to a sharp point, this will be the end that goes into the ground. Step 6: Sand all the individual parts to the desired finish. 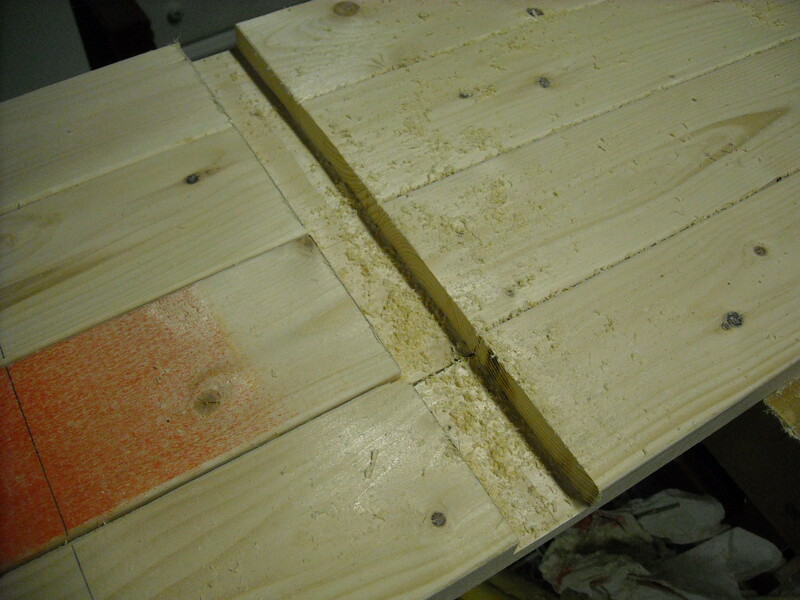 Then, using a waterproof wood glue (Titebond 3) and clamps, assemble the horizontal supports to the vertical posts. Allow the fences to dry for 24 hours. Step 7: Once each fence was assembled, I applied two coats of boiled linseed oil allowing a day drying time between coats. 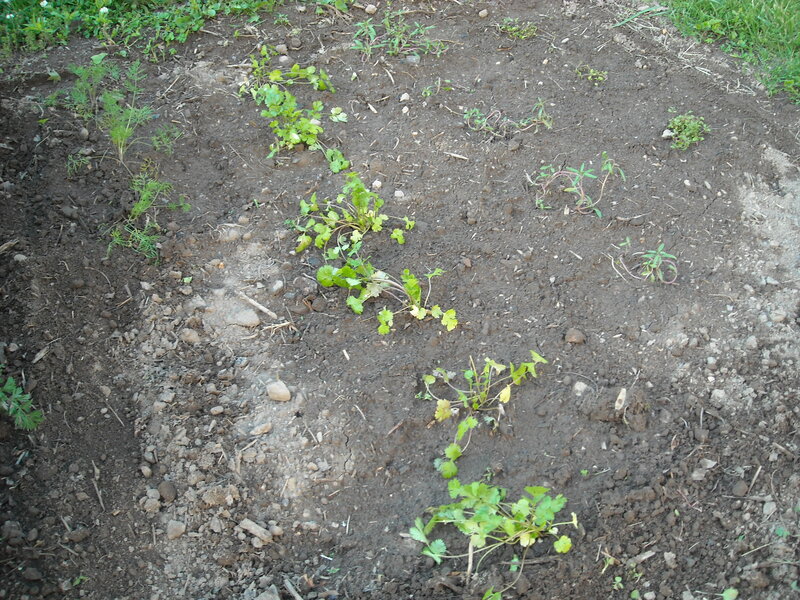 I placed one fence between two rows so the sugar snap peas can grow up on both sides of the fence. I will run twine between the vertical supports to help keep the sugar snap peas growing up along the fence and to give the sugar snap peas something to attach to. 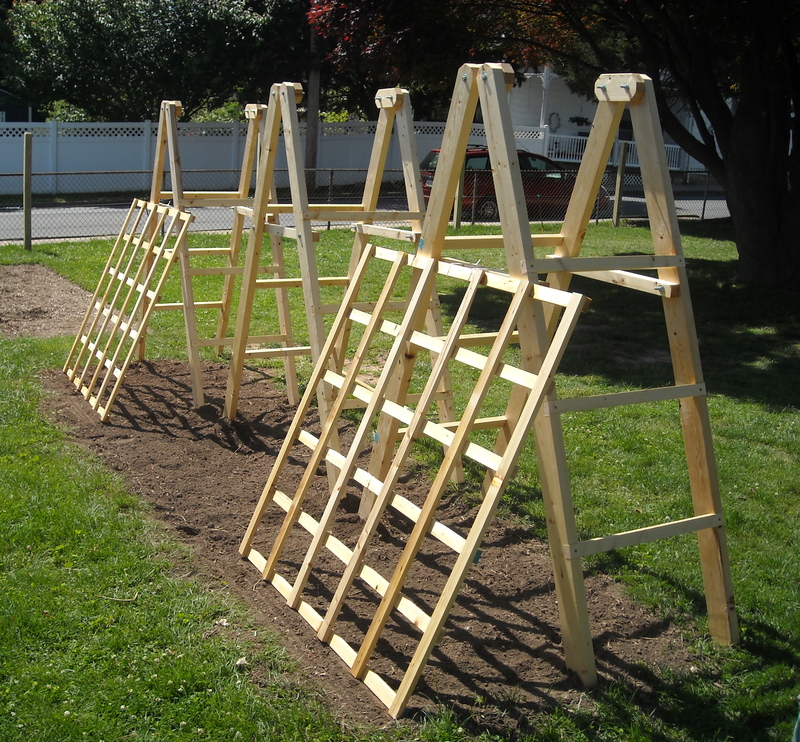 Please let me know if you have any questions about building these pea fences or if you have any suggestions about supports for peas.